Traditional antivirus (AV) vendors aren’t keeping up with today’s threats. They don’t protect against unknown attacks until it’s too late, forcing security teams to scramble for new products every time a new wave of attacks hits. This reactive approach has resulted in too many tools on the endpoint that don’t work together — stretching security professionals to their breaking point. Meanwhile, endpoints cluttered with resource-hogging agents hinder productivity to the point where frustrated end users take matters into their own hands by uninstalling antivirus, leaving their device vulnerable to even the most common malware. This situation won’t be fixed with legacy products and the outdated architecture on which they run. 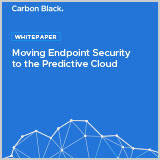 A whole new approach to endpoint security is required, built on big data and real-time analytics in the cloud. The purpose of this study is to provide readers with a framework to evaluate the potential financial impact of the PSC on their organizations.